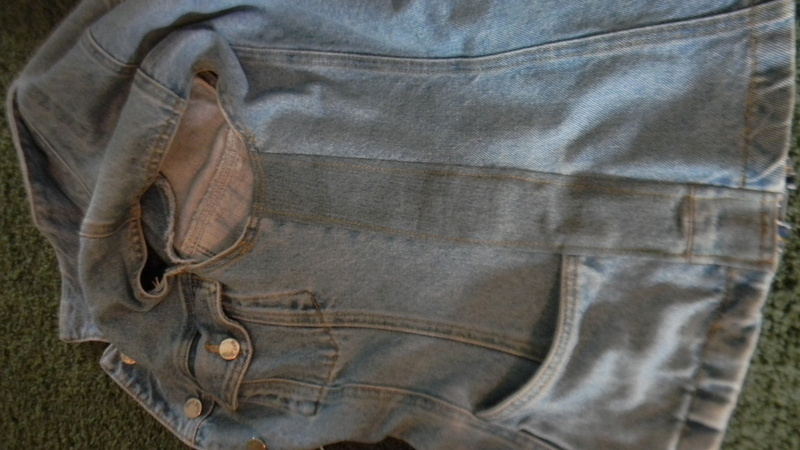 It used to be that the thought of tearing apart a ready-made garment and altering it brought chills to my neck. I would always say if I have to pay good money for something and then alter it, it was not worth the money. But, since I have been buying a large share of my clothing from thrift stores lately my philosophy has changed. 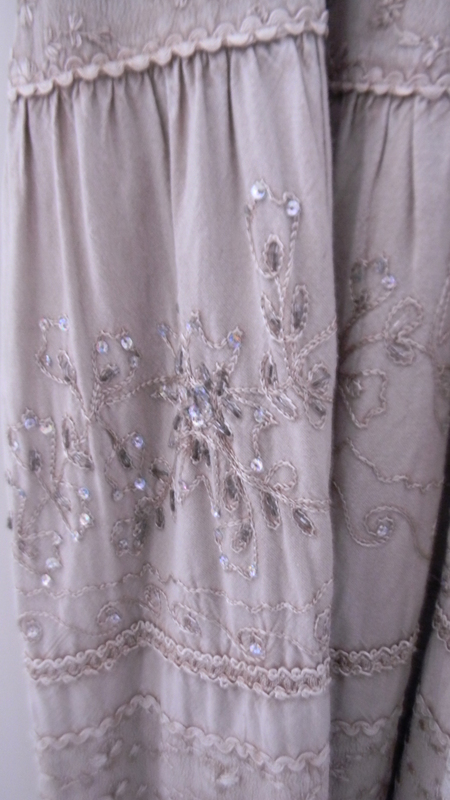 Lets start with this beautiful embroidered skirt. Believe it or not it was a size 2X. I looked at it and really liked it. The elastic that was in it was really worn and needed to be replaced so I figured I could just cut the waist band off, turn the top over and put in a new piece of 2 1/2″ elastic. How easy was that! I paid $6 for this skirt and around $2 for the elastic. 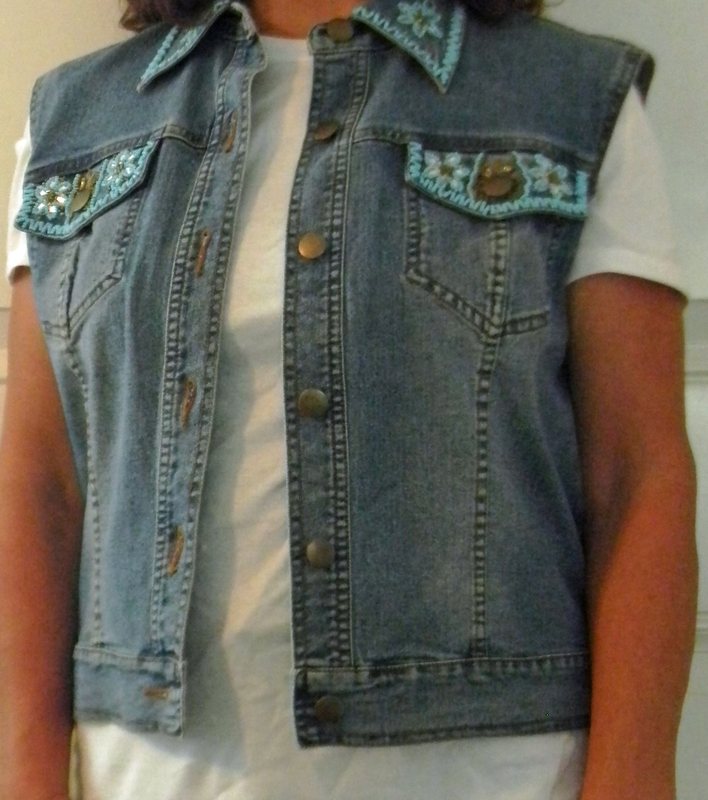 A friend and I were talking a couple of weeks ago about purchasing a jean vest that we could wear with our t-shirts. I looked at the stores and on-line and could find nothing that I really liked for the price. 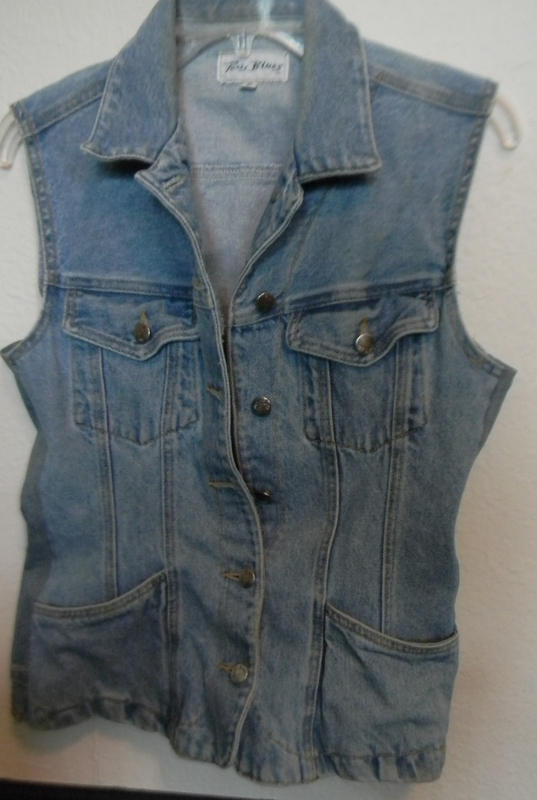 Finding a vest or jacket (that I could cut the sleeves off) at a thrift store would also be hard. Of course with Yehovah all things are possible. I walked into Nana’s House Thrift store the other day and guess what was hanging there!! It was a beautiful jacket by Vera Wang and I only paid $6. When I got it home I was actually hesitant to cut the sleeves off but after looking at it for hours I finally got the nerve to do it and I was very pleased. I did have to take it in under the arms as jackets have more room under the arm area. 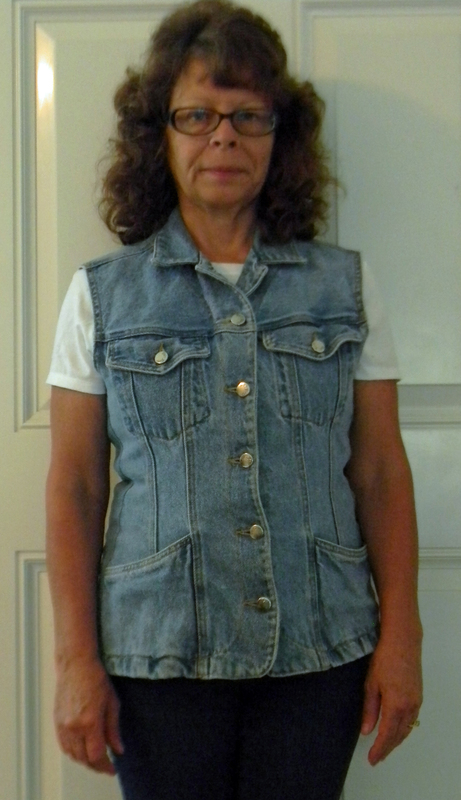 The next vest I purchased was also at Nana’s House Thrift Store and it was on sale for $2. I didn’t try it on and when I got home it was way to small to button up. 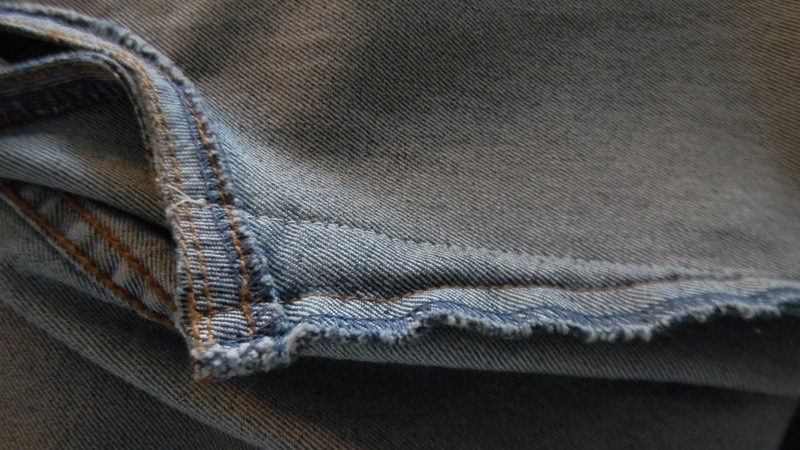 I then decided I was going to take the side seams apart and insert a piece of jean fabric. I looked and looked for a pair of thrift store jeans that would come close to the color and could not anything that I thought would work. Then I remembered the sleeves I cut off the Vera Wang jacket and I figured it was going to be as close as anything I could find. The deconstruction and reconstruction went rather quickly. 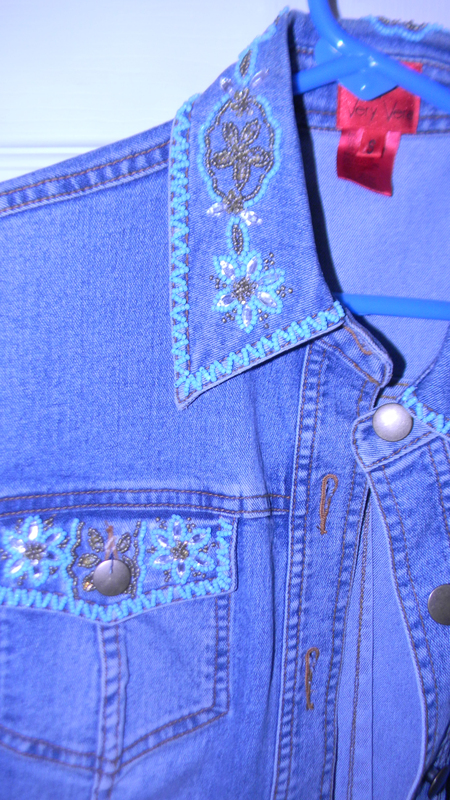 I used jean thread to top stitch and I think it looks rather nice. I think this will be my favorite for a while. Where do you find your thrift store finds? Do you have to alter them? 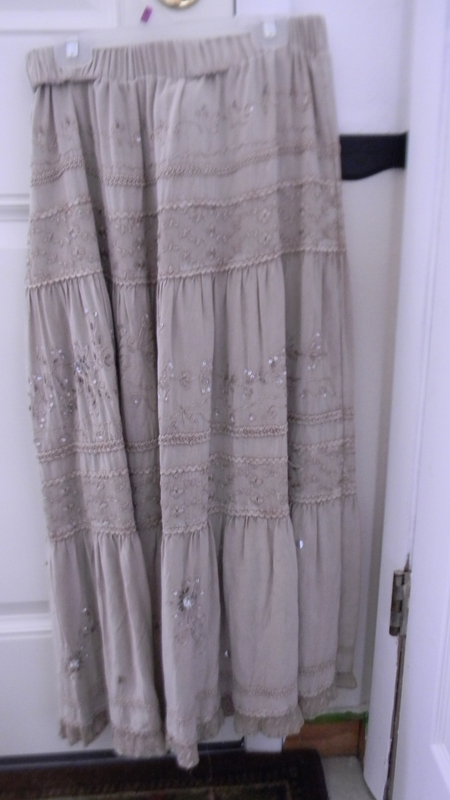 This entry was posted in Posts, Reconstruction, Sewing and tagged Nana's House, Reconstructing Thrift Store Finds, sewing, thrift store finds. Bookmark the permalink. How lucky to find a Vera Wang; I like your makeover. I would say about 50% of my charity shop finds get altered. 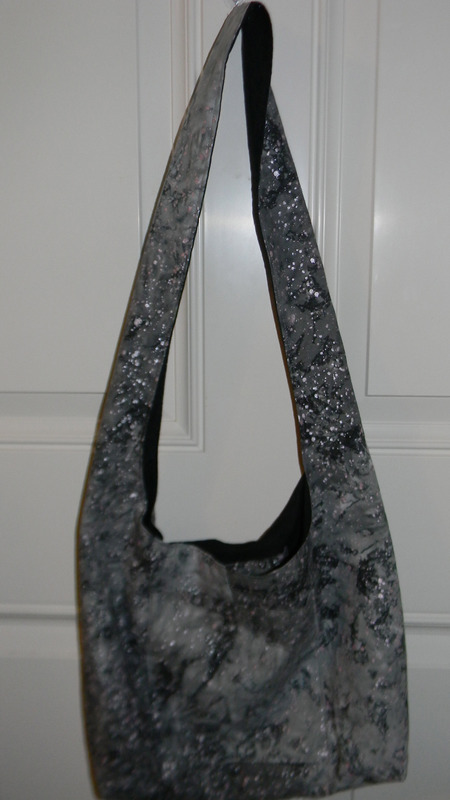 I often buy something because I like the fabric and I can make something new from it. Other times I might just shorten or mend. Love it! Would love to see your remakes. Hope you’ll come along and take a look. I find many of my thrifted stuff at Goodwill. I won’t think of altering anything if I pay full price for it, but if it is at bargain prices, I might. 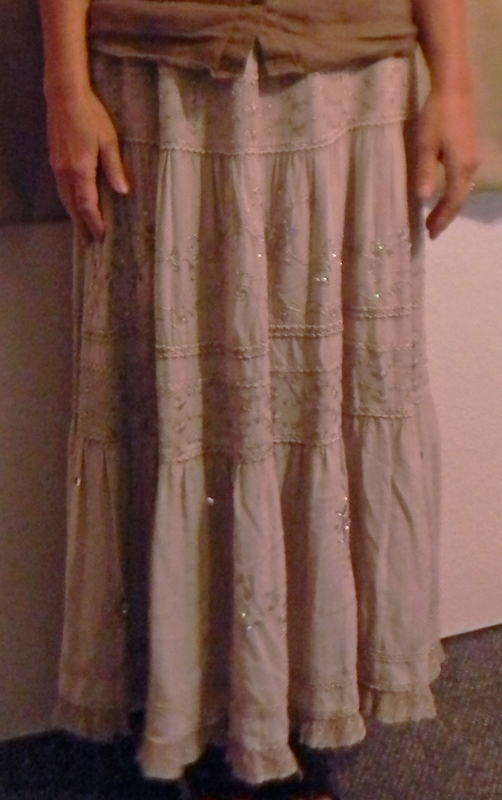 I have altered a few things, like you, waist bands and an occasional hem. Goodwill is one of my go-to places. Really like shopping there.